I think being a boxing promoter is such a fun occupation – especially the matchmaking. If I were a boxing promoter, I would not only try to match the best against the best, but I would also put together fights between fighters who are entertaining, but not necessarily the best, pound-for-pound or even the best at their optimal weights. There were so many good matchups that should’ve been made in the first decade of this current millennium. Here are some interesting fights that could have and should have been made between the years 2000 – 2009. Now, I’m going to explain what is interesting to me about some of these matchups. I’ll start with Oscar De La Hoya, because I’m a fan of him, but I disagree with boxing fans who say Oscar never ducked anyone. Oscar took a huge risk fighting the best middleweight in the world at the time – Bernard Hopkins, but the reward for winning that fight would’ve been huge and made history. Even taking that fight was a reward for Oscar, because he was praised by everyone for taking such a risk, win or lose, in addition to the financial reward. I do believe Oscar avoided 2 world-class fighters who were at his weight class at the same time – Vernon Forrest and Winky Wright. Casual boxing fans know very little about Winky Wright or Vernon Forrest, so if Oscar De La Hoya had fought either of them and won those fights, the reward was small compared to the risk… Oscar quit taking risks during the final 2 or 3 years that he fought. He actually said he offered Ricky Hatton a fight before signing to fight Pacquiao. Not only was Ricky Hatton on the decline in 2008, he is much smaller than De La Hoya. Why didn’t Oscar offer Vernon Forrest a fight? Forrest was considered old by boxing standards at the time, but he still held a 154-lb world title until he was forced to vacate it by the sanctioning body (when he refused to fight his mandatory opponent, Sergio Martinez). In his prime, Oscar would’ve fought the newly crowned WBC 154-lb champion at the time – Sergio Martinez, but after the loss to Bernard Hopkins, it seems like such a risk was unthinkable to Oscar. Why didn’t Oscar fight Vernon Forrest win Forrest was still marketable, like when he defeated Shane Mosley for the second time? I’m sure that Forrest would’ve jumped at the chance to fight one of the 3 biggest names in boxing at the time, even if he had to move up to 154 pounds right after his fights with Shane Mosley, because Oscar De La Hoya was not only a big name, but he had just recently moved up to 154 pounds at the time. Winky Wright and Oscar De La Hoya would’ve been an interesting fight also, but maybe only to diehard boxing fans. The risk would’ve been too much versus the reward for Oscar De La Hoya. Oscar was usually the bigger guy in his fights, with the exception of his fights with Fernando Vargas, Bernard Hopkins and Felix Trinidad, because those 3 fighters had a following. I suspect Oscar was not interested in those risks when he could make the same money to fight smaller, more well-known fighters. 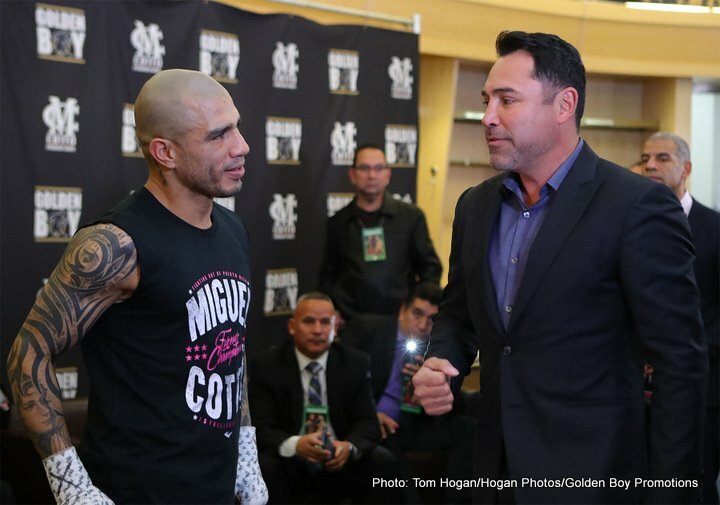 Oscar De La Hoya versus Winky Wright or Vernon Forrest are interesting matchups to me interesting because we don’t know who would win those fights, and Vernon Forrest versus Winky Wright is an interesting fight for the same reason – suspense. James Toney versus Antonio Tarver would’ve been an interesting fight right after Tarver knocked out Roy Jones. That’s a fight that could still happen – it could be a last hurrah for both fighters, but neither are in very good shape as heavyweights, so it should’ve happened around 2003 or 2004. James Toney had won a Cruiserweight title against a young undefeated fighter, and 7 months later, Antoniuo Tarver knocked out Roy Jones. Rather than defending his cruiserweight title, Toney moved up to heavyweight and you can’t blame him, because there’s more money and glory at heavyweight, but I believe a fight with Antonio Tarver right after his knockout of Roy Jones could’ve been a huge fight for both Tarver and Toney. I think everyone knows Toney Would defeat Tarver at any stage of their careers, but it’s an interesting fight to me because Tarver is actually the bigger man. Antonio Margarito versus Ricardo Mayorga would’ve been such an entertaining fight if you like brawls. Both fighters are brawlers and the trash-talking leading up to the fight would’ve been as entertaining as the fight. Imagine Margarito and Mayorga on Face-Off with Max Kellerman. That would be fun to watch. The promoters job would be easy on that fight. Fernando Vargas has said he was struggling to make weight in his junior-middleweight fights with Oscar De La Hoya and Shane Mosley in an interview. If that were true, why didn’t he fight Bernard Hopkins at middleweight? Bernard Hopkins would jump at the chance to fight a smaller fighter with a big name. What do you think about these matchups?